The Blog That Time Forgot: What if Conan became The Punisher? Come on, that's totally our man from Devonshire. I'd love to see a Batman/Kane teamup, by the way. What's more, we're getting Goddamn Action Figures. 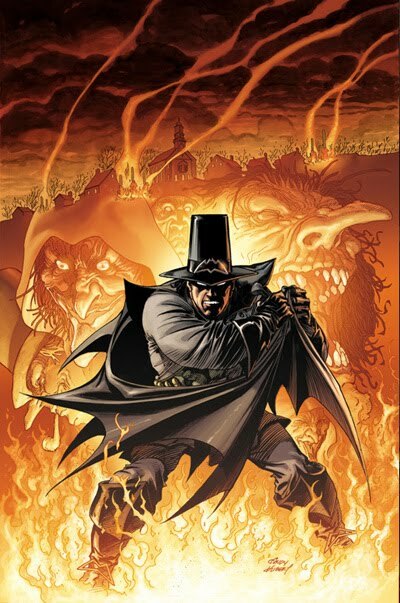 In addition to Puritan Batman (now really, Solomon Kane is already Puritan Batman) we have a Neolithic Batman, Cowboy Batman, and - Crom almighty - Pirate Batman. If Batman was trained in the martial arts and uses stealth to defeat his foes, this throws the Pirates & Ninjas war completely out of control. The figures look very nice, and already I'm getting ideas. Come on, I know you're thinking what I'm thinking. 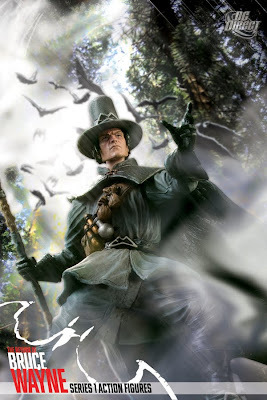 Well, I'm sure it's one of a few things: just shave off the bat symbols, and you have a pretty good Solomon Kane (just add a slouch hat if you're a purist like me). Give that staff a cat's head, sculpt a green sash... Looks possible. 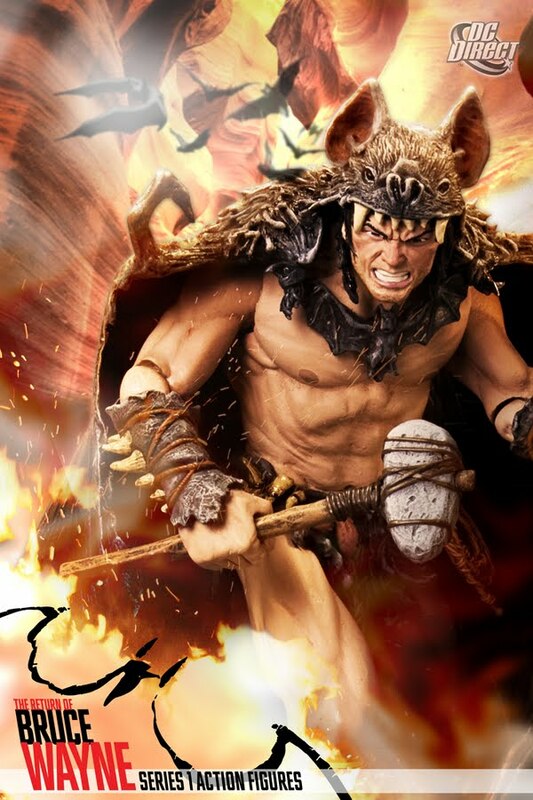 Rip off the pelt & accessories on Bat-Caveman, and that'd be a damn good base for a Conan custom. That snarling face is just perfect, he has a great build, and he looks very poseable. Alternatively, dye his hair a bit, and he'd make a great one of Howard's prehistoric heroes. Still, I think High Seas Batman may well be the greatest action figure I've ever seen. Look at it. It's practically Edward Teach in a mask. 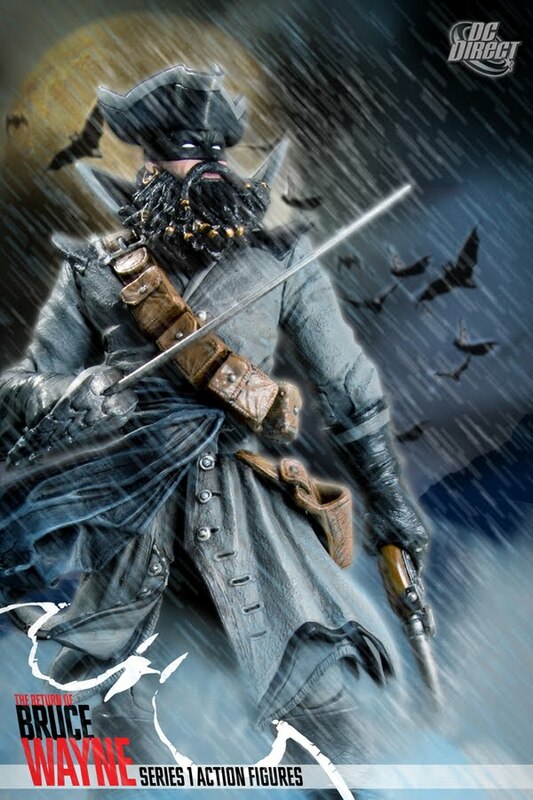 Batman if he was Blackbeard. It's Batbeard. Those figures look really good, if I still had the stuff to customize figures I'd probably do just what you were saying and make a Solomon Kane and Conan figure out of them..
as for the Batman comics though.. It's just too darn weird for me. When I saw the Batman comic Wednesday night, I turned to the owner of my local comic shop and said, "Why is Solomon Kane on the cover of Batman?" He chuckled and told me I'd have to read it myself, which I did. It's a double Weird Tales issue because there's a very Cthulhu-oid monster inside too. It's amazing to me sometimes, the hold that the long dead pulp magazines of the 1930s still have on pop culture, particularly comic books. I mean in this one comic we have not only connections to REH amd HPL, but to Lester Dent and Walter B. Gibson as well. Ah, that explains it. Thanks for clarifying!